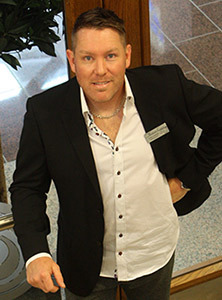 Adrian was born in England (1973), however grew up in beautiful Victoria B.C. in Canada. Adrian attended ‘St. Michael’s University School’ (SMUS) which prepared him for further education at the ‘University of Victoria’ (UVIC). 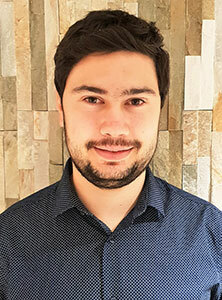 After completing a 2 year per-requisite program at the ‘University of Victoria’ Adrian was accepted into the ‘Anglo-European College Of Chiropractic‘ (AECC) in Bournemouth, England. Adrian achieved his BSc. (Hons) Human Sciences degree in 1998 and his MSc. (Chiro) degree in 1999. Shortly thereafter he was presented with the opportunity to come to Jersey and assume the role as Principal of the ‘Jersey Chiropractic Centre’. After 15 years of developing & modernising the centre Adrian decided to take some much needed time out. After his sabbatical Adrian returned to design and develop ‘The Wellness Centre (Castle Quay)’, and assumed the role as Managing Director, and as one of the most senior Chiropractors working at the centre. Andrea was born in Sweden (1976). After having completed a degree in Economy in Sweden, Andrea spent some time in Spain where she worked within the family restaurant business. It was during this time that she decided to focus her future career within the healthcare industry. After being inspired by her local practitioner Andrea decided to attend the ‘Anglo-European College of Chiropractic (AECC)’. In 2001 Andrea achieved her MSc. (Chiro) degree and shortly thereafter moved to Jersey to become a partner of the Jersey Chiropractic Centre. Andrea has since further qualified in ‘Applied Kinesiology (AK)’, and taken several specialized courses in pediatrics and ‘Buteyko’ (a recognized breathing technique for asthma, and other respiratory problems). 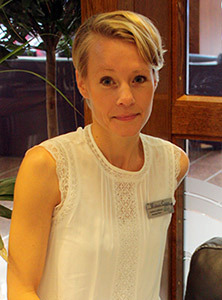 Emma achieved her DC MChiro PgCert qualifications in 2009 from the ‘Anglo-European College of Chiropractic’. Since leaving college Emma has completed an additional post-graduate certification in Chiropractic Development. Shortly thereafter Emma was given the opportunity to move to Jersey to be with her long term boyfriend, and become a valued member of the Jersey Chiropractic Team. Over the years Emma has become a integral part of our Chiropractic Team and a great asset to our practice. As an established horse woman and experienced in working with ‘gun dogs’, Emma then went on to specialize in Animal Chiropractic and as such now treats both humans and many of our four legged friends. Hadley was born in New Jersey (USA) and grew up in Spain before moving to the UK. He completed his Masters of Chiropractic graduating with a distinction. Having a passion for playing sport he has seen first-hand the benefits of chiropractic care in relieving symptoms but also maintaining optimum function. In 2016 he was appointed as the on-pitch healthcare professional for a Welsh rugby union side. This placement entailed working alongside a professional healthcare team and having to complete a myriad of courses to acquire the skills to deal with acute sports trauma. Having most recently practised in the South east of England and London, Hadley has become acquired to dealing with musculoskeletal complaints that arise in a corporate setting. In his spare time, he enjoys playing football and watching live sports. Nicola was born in England and grew up in Oxfordshire. 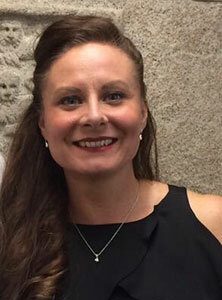 After completing her undergraduate degree in Psychology (BSc) at the University of Portsmouth where she achieved a First Class degree with honours, she moved to Jersey for 2 years where she worked as an Assistant Psychologist with the Child and Adolescent Mental Health Service (CAMHS) and the Psychology Service. Nicola later gained a place on the University of Birmingham Doctorate in Clinical Psychology 3 year programme. During this she completed placements within a variety of services including CAMHS, Psychiatric Liaison, Learning Disability, Older Adult Mental Health and Community Forensic. Her thesis topics was adults with autism and attachment/relationships. 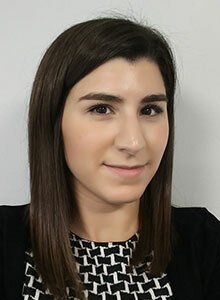 Nicola has a number of publications and has completed several courses including achieving a distinction in Cognitive Behavioural Therapy Introductory Practitioners Course (IPC). She moved to Jersey permanently in 2015. She returned to CAMHS for a brief period of time before moving on to the Jersey Adult Autism Service where she continues to work. Lauren McEwan was born and raised in Jersey. After completing her G.C.S.E’s and A Levels at Hautlier, she then went on to study Sports Therapy at the University of Chichester, completing the 3 year course and obtaining her BSc. (Hons) degree in 2006. Whilst at University Lauren gained further hands on experience in her field. She was part of the Sports Therapy drop-in clinic at the university, which was open to all students and staff. Lauren also took the post of Sports Therapist for her University football team, attending both training sessions and matches with them. Since returning to Jersey, Lauren has been based at the ‘Jersey Chiropractic Centre’ since early 2007, during which time she has built a strong client base. As a student Lauren had a long history as an Island gymnast. As such she has great first hand knowledge and experience of sports related injuries. In addition to Remedial Massage, Sports Massage, and Rehabilitative Training Lauren now also offer a range of wellness based treatments to complement our clinic and the many therapies that we offer. 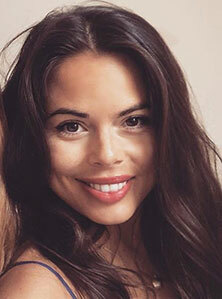 Eva was born in Poland where she studied at the 1st Medical Vocational Post-Secondary School in Szczecin, and graduated in 2005 as Physiotherapist. 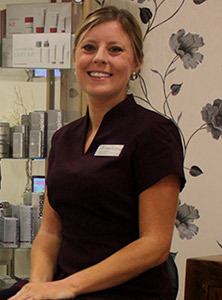 After moving to Jersey in 2008, Eva gained further qualifications in different body treatments at the Highlands College and many years of experience at several spas on the island. As a teenager, Eva started training as a triathlete and after many years of hard work she reached her goal and became a winner of both gold and silver medals in the Championship of Poland on two different Triathlon distances. Eva has found that her training and personal experience has given her a deeper understanding about sport injuries and how specific treatments can help to speed up recovery and maximising ones performance. Her biggest enjoyment as a massage therapist is dealing with specific and sometimes difficult injuries that require her to adjust her treatments accordingly. The reward is seeing the results afterwards. 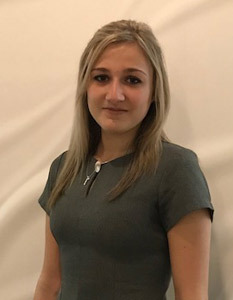 Knowing that massage is only one component to better health, Eva would like to complete her training to become a fully qualified Physiotherapist in Jersey. Jade was born in Jersey (1992), and was lucky to grow up on our beautiful island. After completing her GCSE’s, Jade went to Highlands college where she did a year’s training in Motor Mechanics. After considering her long-term career opportunities, Jade decided that Beauty Therapy and ultimately Massage Therapy was where her future interests were placed. 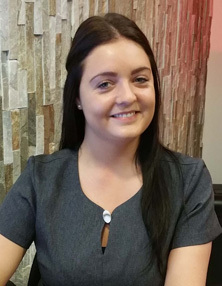 In 2013 Jade returned to full time education and completed her Level 2 Qualification in Beauty Therapy at Highlands College, after which she seized an opportunity to move to the mainland where she completed her Level 3 Qualification in Massage Therapy. Whilst training Jade had her first experience of working in a 4 Star Hotel Spa. 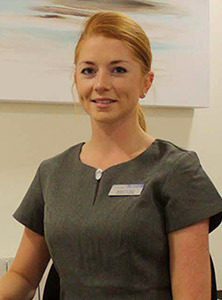 On her return to Jersey in 2015 as a fully qualified Therapist, Jade continued to work in well recognised ‘high end’ Spa facilities, and has gained invaluable experience in all her services and in customer care. Jade’s passion is to improve her client’s wellbeing through Massage Therapy, Skincare and other Beauty Services. Jade is specially known for her skills as a Deep Tissue Massage Therapists, but also offer her clients treatments such as Indian Head, Aromatherapy, Pregnancy and Hot Stone Massage, as well as Manicures, Pedicures, Waxing and Tinting Treatments. Ciara has more than 10 years experience in Remedial Sports Massage after graduating with a first class honours diploma in Advanced Sports and Remedial Message from St Martin’s College, Cork. As well as treating clients, Ciara shares her depth of knowledge by teaching a Level 3 Certificate Course in “Sports Massage Therapy” at the Professional Fitness Academy (previously at Highlands College). Ciara is also qualified in the use of ultra-sound. Being involved in athletics for many years and working with the Jersey 1sts rugby team into the Championship, Ciara has extensive practical knowledge and experience in dealing with sports injuries. Ciara has also worked with clients from the finance sector (having worked in that area for over a decade) and is focused on ensuring that each client’s care program is matched to each individual’s needs. Ciara’s ethos is to treat everyone and their injuries as individuals and to ensure that ‘one size fits all’ is NOT part of the treatment process. Christy became interested in food and health during university when she made a few simple changes to her diet after graduating. During this process she discovered how food could change a person’s life. She moved from the U.S. to Jersey to be with her husband and started training to be a health coach. Christy is now a certified holistic health coach through the renowned New York’s Institute of Integrative Nutrition. She believes that there is no one-size-fits-all dietary theory for best health. She enjoys helping clients reach their health goals and seeing clients transform their lives during her coaching programs that range from 6 weeks to 6 months and also include a 50-minute discovery session, 5-day detox, supermarket tours and more. For more information about Health Coaching please click Here and for more information about Christy please click Here. Sevda was originally born in Turkey, raised in France and has since then lived in many places around the world such as Spain, Costa Rica and India. Sevda started practicing yoga over 5 years ago and completed her extensive teacher training in the Himalayan foothill town of Rishikesh in India. With a personal practice background in Vinyasa Flow, a training in Ashtanga and Hatha and an aversion to taking life too seriously, she enjoys sharing simple, energetic flowing classes with plenty of alignment cues in a relaxed and fun atmosphere. Her goal is for the students to leave the class having been challenged and hopefully having learned or tried something new. Sevda believes that yoga is a practise, and that there are no requirements to beginning, outside the willingness to learn and grow. Henrietta has been practicing Yoga for 15 years and teaching 10 years. She trained with the British Wheel of Yoga and has recently completed the Dynamic Yoga Teacher Training program with Yoga master Godfrey Devereux with whom she continues her studies. She started her Yoga journey practicing Iyengar, Astanga, Vinyasa Yoga and now Dynamic Yoga. Henrietta is currently studying Yoga Therapy under an internationally renowned Yoga Therapist and Teacher in India and is qualified in Pre- and Post-Natal Yoga. Having experienced the powerful changes that yoga brings, Henrietta shares the advantages of this ancient art with care, passion and enthusiasm, and is consistently looking for ways to improve herself as a practitioner and teacher. Teaching with warmth and sensitivity, Henrietta believes that Yoga posture practice should be about what you can feel in your body and not about what you can do. For more information about Henrietta, please visit her website or Facebook page. Shefa grew up in England. Having graduated with BA Hons in Business and Financial Services, she worked in finance in City of London. Subsequently, she lived in Sotogrande, Spain for several years before moving to Jersey. Shefa has always been interested in health and fitness and it’s her passion for Pilates and thirst for knowledge led her to complete an advanced Diploma in Pilates including specialist training in both pre and post-natal Pilates exercise and Pilates for Common Orthopedic Conditions. She offers bespoke Pilates service and her core value is to be able to teach clients to maintain long term good health by strengthening weaker muscles and preventing any potential injuries. Allowing her clients to enjoy effective muscular performance whether at home, work or playing sports. 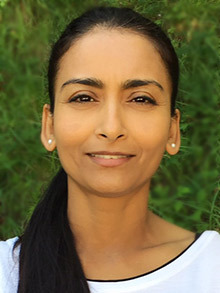 Shefa has a holistic teaching approach accompanied with her passion for helping clients build wellness of the body and mind by harmoniously coordinating breathing, balance and alignment. Her interests and hobbies includes; food – both cooking and eating!, chilling with family and friends, traveling and one of her favourite destination is Mauritius. She also, enjoys taking part in various charity events and in 2017 completed London Marathon Moon Walk in aid of breast cancer. Rebecca has practiced many styles of yoga for 15+ years and was trained by one of the best yoga teachers she knows… her Aunty! Her studies and training involved qualifying in Jersey as a yoga teacher in 2017, with subsequent training further afield specifically on Yoga for the Spine and Yoga for Athletes with the world renowned Yoga Medicine teacher Tiffany Cruickshank. Rebecca loves to attend trainings and workshops and absolutely adore teaching clients one to one and in groups.Rebecca teaches a Hatha Yoga practice adapted to the level and needs of her client and/or class, with a focus on body awareness, alignment and control, aiming to improve strength and flexibility, whilst reducing stress and the risk of injuries . All classes are suitable for beginners and tailored to individual needs with adjustments and modifications where helpful. Tabitha is a Stott trained Pilates instructor and a classically trained ballet dancer. Her extensive background in dance has provided her with a sound knowledge of anatomical and physiological awareness, which is reflected in her Pilates classes. Tabitha has spent the latter part of her career teaching children across the curriculum, with a focus on Dance and Yoga teaching. 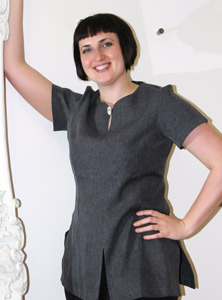 Tabitha also teaches the BalletFit Barre Workout and is Stott trained in pre- and post-natal Pilates. Thank you for visiting our site. We look forward to meeting you in person and hope to help you become an even better you! Contact our office and schedule an appointment today!